If your roof looks dark and dirty, it is not just down to dirt. Rooftop organisms like mildew, algae, moss and lichen are the main culprits for the discolouration of your roof. At Driveway Cleaning Dublin we can clean your roof with a soft wash solution which is applied with a low pressure pump. 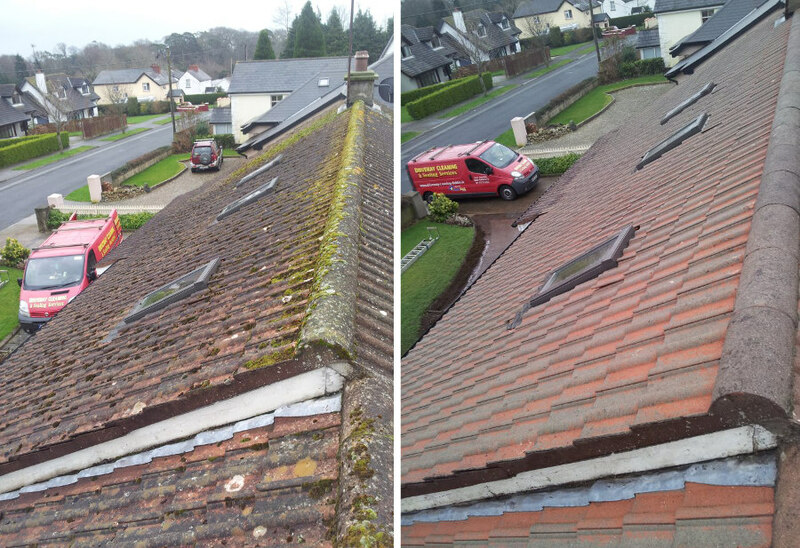 Experts now agree that this soft wash method is easier on the roof and completely gets rid of all the moss etc. as compared to the traditional high pressure power washing method. For more information on this process or for a free no obligation estimate, click here or call Sean on 0862352313.